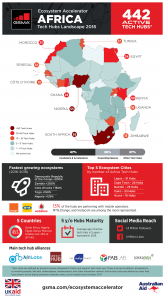 Tech hubs in Africa are growing on a gradual pace. In September 2015, a mapping exercise done by the World Bank listed less than 120 tech hubs in Africa. As of July 2016, a research conducted by GSMA listed 314 active tech hubs in Africa (a number aligned with Disrupt Africa’s prediction in March 2016 article). GSMA further stated that, 50% of these tech hubs are concentrated in 5 countries; South Africa, Kenya, Nigeria, Egypt and Morocco. 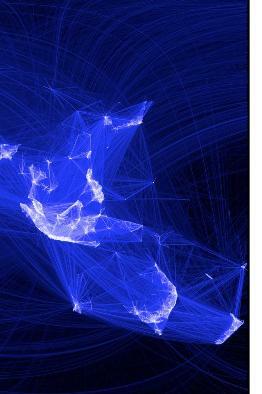 However, almost each of the other African countries have at least one or two active tech hubs. Identifying by sub-region, Morocco, Tunisia and Egypt (North Africa), Nigeria, Ghana and Senegal (West Africa), Kenya and Uganda (East Africa), and South Africa in Southern Africa. In a new research (2017) conducted by the GSMA again, has listed 442 active hubs in Africa. 128 active tech hubs more compared to 2016 that showed 314 active tech hubs. For those unaware, GSMA Ecosystem Accelerator aims to quantify the number of tech hubs operating across Africa in 2018, including incubators, accelerators, co-working spaces, fab labs, maker spaces, and other innovation centers. The leading country in Africa, still remains South Africa with 59 active hubs, followed by Nigeria (55), Egypt (33), Kenya (30), and Morocco (25) – as usual, accounting for over 45% for Africa’s tech hubs comparing to last research that showed 50%. This will probably be because of the 128 new spaces. But in particular we’re shall look at Uganda. 2016 results showed that Uganda had 12 active tech hubs; including; Outbox Hub, Hive Colab, Innovation Village, WITU Hub to mention a few. 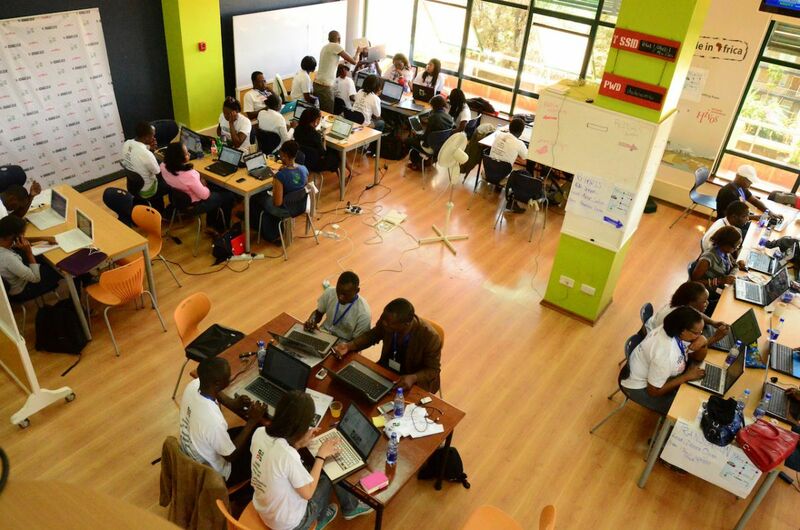 The number changes with 4 newly added spaces summing it to a total of 16 active tech hubs in Uganda. MTN, Orange, and Vodacom are the most represented mobile partners supporting these hub at a percentage rate of 13% – same as 2016. The report also identified a number of fast growth ecosystems, DRC and Zambia jointly topping the list at 200%t growth each in their ecosystems between 2016 and 2018. Cote D’Ivoire (160%), Togo (150%), and Nigeria (139%) made up the top five quickest growing ecosystems. The GSMA highlighted the increasingly important role of international tech giants and mobile operators in spurring the tech hub trend across Africa. “The last couple of years have also been characterized by the rise of tech giants’ interest in the untapped opportunities of African markets. CEO’s including Mark Zuckerberg, Sundar Pichai, and Jack Ma visited major hubs from Lagos to Nairobi, corporate partnerships mushroomed and players including Amazon and Alibaba increased their presence all across the continent,” said Maxime Bayen and Dario Giuliani, Co-Authors of the report. Finally, the research also points to a high level of flux in the ecosystem, with numerous hubs shutting down over the period examined, but a substantially higher number opening their doors.